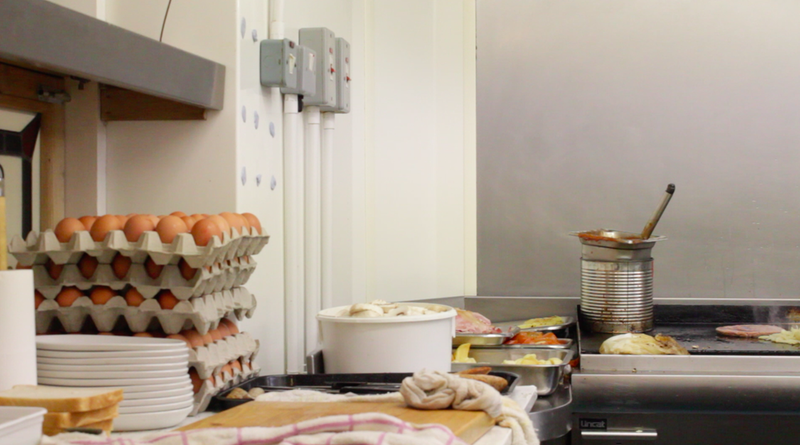 My first short film documentary… A tale of commitment and community in the East End of London. I hope it makes you smile and feel good about the world. Thanks to Chris Nelthorpe, Ginni Batra, Kate Maclean, Marie Roemer, Adam Roberts, the Pelliccis and the punters. E Pellicci, on Bethnal Green Rd, is one of London's most cherished cafes. 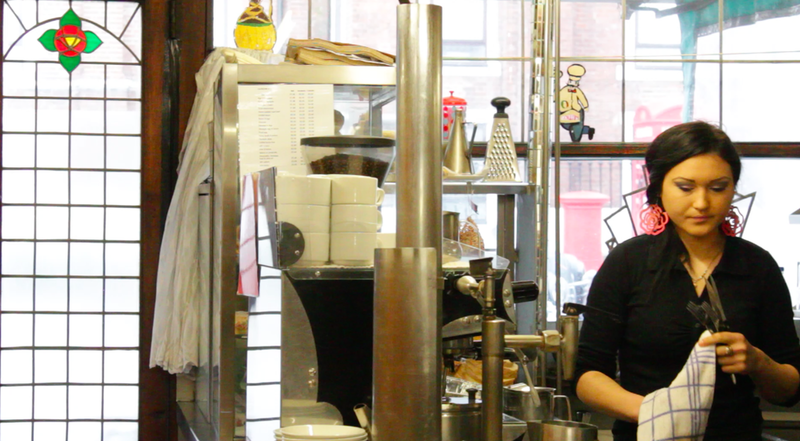 It's a bustling banter-charged hub, an East End institution and, above all, a family affair. Walk in there for the first time and you'll be taken back by the sheer energy of this tardis-like place. The sound of chatting, laughing, cutlery on crockery, slurping, constantly shifting chairs… The generous welcome and the cosiness of the cafe make you feel as though you're in the Pelliccis' crowded dining room, its etiquette established over the past 100 years and refined by three generations. Customers and staff banter on first-name terms, strangers are thrown together and quickly make friends, tables are turned around and plates are brought out at an impressively rapid rate. Always with a wink and a smile. If you can't decide how you like your eggs or you're killing time at the till fiddling with your wallet in the hope that your mate will cover the bill, you're going to be pulled up on it. And then you'll want to come back and have the mickey taken all over again. At a time of rising inequality, where the face of the city is ever changing, fault lines are opening up around issues of class and race, and cafe culture has given way to high-speed coffee culture, it's places like this that bind together a community. Here we can all meet as equals and put the world to rights over some good honest grub.